Find evidence of the characteristics of a tragic hero. Introduce the quote using the characteristic, embed the quote with proper citation of act, scene and lines, then explain how the quote gives evidence of the characteristic. Choose one of the motifs we've discussed in class. Create a semantic map of the word used to refer to the motif like the class model-- "sleep." Search the play for references to the symbol, idea or concept. Assemble 10-12 quotes with proper act, scene and lines. Create a creative visual for display and arrange the quotes around it. Analyze the use of the motif using the quotes assembled. Present by posting to the blog for your class. Identify motif in the quote collection with a partner. 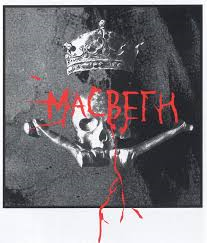 Write a short essay explaining the use of the motif in The Tragedy of Macbeth. How does the motif intensify one of the themes? 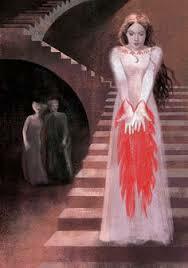 How might it add to characterization in the tragedy?